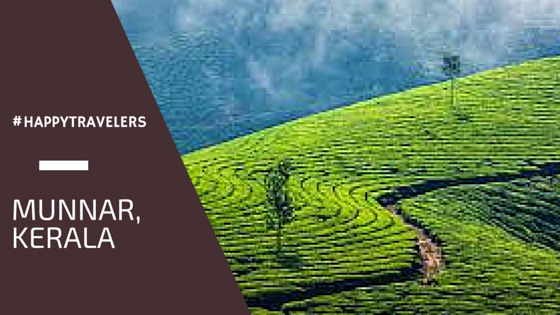 Munnar: Of sights, spices and splendor! – Diet delights! Munnar: Of sights, spices and splendor! Far from my northern Indian notion of a hill station, Munnar the picturesque Kerala escapade is akin to Neverland. Lost in a time warp, the nostalgia of yore, of old-world myths and all that vintage charm that capitalism hasn’t yet encroached upon, unlike in the North. Nestled in Western Ghats at an altitude of 6000 ft, this picturesque hill station beckons nature lovers because of emerald green tea plantations, forests, hill ranges, valleys, waterfalls and wildlife. Did I say waterfalls? 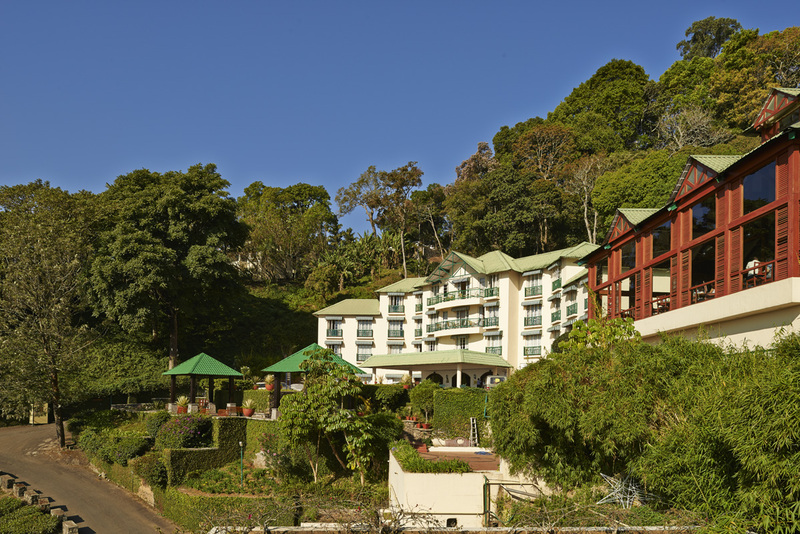 This pristine hill station, far from the urban mess, still retains its old-world charms. With its carpet of emerald-green tea plantations, every turn on the road, resembles another frame of the perfect scenery. For someone having lived in Himalayas all through the growing up years, Munnar holds its charm. Western ghats shine in their lush greens, reveling in the magnificent low mountain scenery. “Moonu” means “three” and “Aru” signifies ‘waterway’, Munnar blooms out from the meeting point of rivers- Muthirapuzha, Nallathanni and Kundala and spreads along these three. Although the guidebooks suggest against monsoon season which extends from June to August, I loved it even more in the rains. The wet roads, rain-kissed flora, hustling winds with a smell of the soil, there’s this word for it right, petrichor? Monsoons made for a perfect companion during my trip to Munnar, the third day of my stay I hiked to the Kolukkumalai Tea Estate and boy, was it a sight! Flanked by a row of rugged mountains on its one side and a dense cover of forests on the other. I feasted my eyes on the view of deep valleys laced with wilderness! It was quite a task to reach this spot but it was truly worth the effort. The monsoons made for a fabled Eravikulam National Park experience wherein trees swayed with a ballet dancer’s enthusiasm. I wish I could have captured all this ethereal beauty in a time-capsule – the gurgle of the rivers, the hovering clouds and their aplomb, the crickets and the birds, raging waterfalls. Even the rains were a different breed here, it poured and yet what you were left drenched in were the fragrance of the forest. Somewhere in the greens, Nilgiri Tahr, the rare butterflies and the mystic flower, Neelakurinji, which blooms once every 12 years, were concealing their secrets from the prying eyes of tourists but to travelers, they were inviting. Whilst Munnar has been endowed with all that a hill-station would want, here are two of my favorite escapades from the town. These are a little off track from the buzz of the city radii and yet believe you me, this de-tour is well worth the effort! Maryoor: 40 kilometers from Munnar, Marayoor is drenched in the veil of history (or shall I stay pre-history) this shrine of ancient heritage houses Dolmens (prehistoric structures believed to be ancient burial chambers). Dolmens have four stones and a fifth cap stone on the top, these structures are found across the globe, but the origins remain clear. Maryoor definitely gave me the adrenaline rush of being in an Ancient Aliens set. Devikulam: Also known as Sita Lake, Devikulam is 22 kilometres from Munnar. I loved how this otherwise pristine lake interspersed with the hollowing winds – curating ripples and picturesque reflections on its canvas. The swaying swathes of forests and proximity with all that is green in God’s green earth give Devikulam a pious touch. As per the legend, Goddess Sita bathed in the sparkling waters of this lake, hence the name. Since this lake is a part of the Tata Tea Estate, you’d require prior permission. Given the love for coffee and condiments, I reserved two days for the Tea Gardens. Tea flavors, spices, ginger and cardamom, I gorged upon each sight and smell! It was indeed a different experience to see how clove and cinnamon look in nature. I complemented the tea garden visits with an extensive assortment of chocolates! What’s in it for Women! From dedicated kitchen tours starting at INR 1500 wherein you can learn culinary delights of the God’s own country to bicycle rides in the green, there’s so much for the ladies in Munnar! Even a long walk absorbing the slow pace of the surroundings rejuvenates the senses. Couple it with plantation tours or take a hike up to the lush green hills, coming to our feminine elements is easy in a setting like this. Previous Post EMPOWER: How organizations can foster an environment of empowering women as employees?